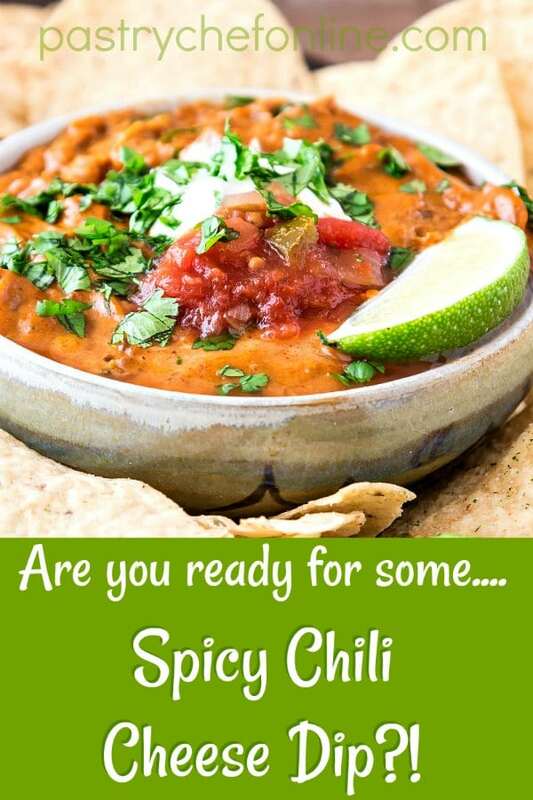 Spicy Chili Cheese Dip Recipe | Fast and Easy: Dump, Heat and Stir! Are you ready for some…chili cheese dip?! This spicy appetizer makes a ton and is perfect for sharing! 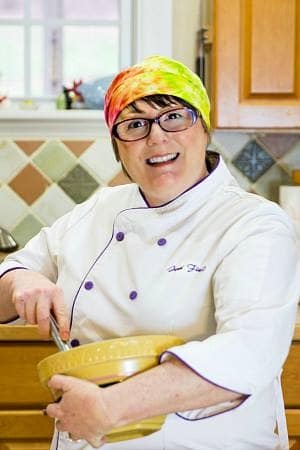 2 How Do You Make Spicy Cheese Dip? 6 What Other Appetizers Can I Make for a Watch Party? 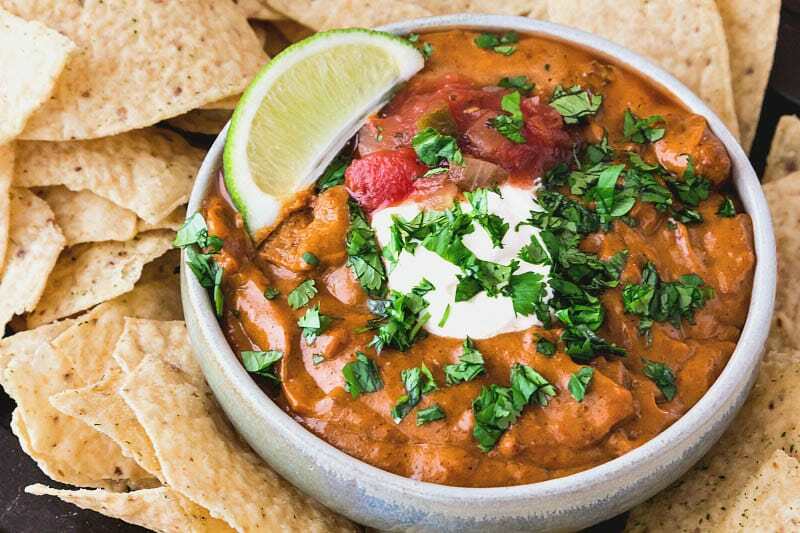 I’ve made this spicy chili cheese dip recipe three times now. Not because I was trying to get it right, but because we kept eating it all before I had taken photos. This stuff is seriously that good. It’s versatile, too. 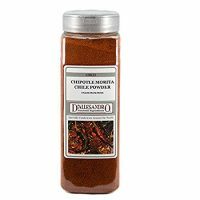 Of course you can serve it with chips and/or cut vegetables, but it would also make an excellent nacho sauce for a plate of nachos or a delicious cheesy sauce to pour over burritos or even to bake on top of enchiladas for an unconventional but delicious cheesy, chili-y enchilada bake. This recipe makes a ton–at least a quart–so invite a crowd. Or enjoy it over a few days. It keeps and reheats like a dream. How Do You Make Spicy Cheese Dip? Put all the ingredients in a heavy-bottomed saucepan. Seriously. I’m not kidding about “dump and stir.” Just put everything in the pool and stir well. Turn the heat to medium, and heat until the dip comes to a boil. Stir frequently, and then constantly as it gets hotter so it doesn’t stick. Keep it at a boil for a minute or two. The dip will be pretty thin when it finishes boiling, but it will thicken as it cools. You can either serve it once it cools down to just warm, or you can chill it and then reheat it when it’s time for snacking. There’s nothing worse than trying to follow a recipe and then having questions in the middle of making it. So I’ve tried to answer your questions before you ask them. 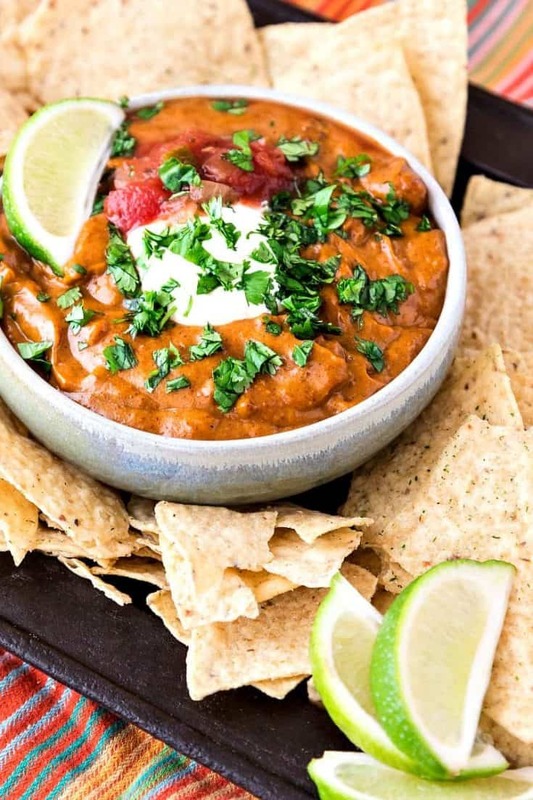 This chili cheese dip couldn’t be easier to make. Toss all the ingredients into a pot and bring to a boil, stirring frequently. Done! What if I don’t want to put chili in it? Then you’ll just be making spicy cheese dip instead of spicy chili cheese dip. So yes, you can absolutely leave the chili out if you’d like. The procedure is exactly the same: everyone goes into the pot. Stir. Boil. Serve warm. Done. What if I want to make this dip with ground beef or taco meat? Just substitute either one for the chili. Seriously, you really can’t mess this recipe up unless you don’t stir. Can I make this dip in a crock pot? Yes. As long as your crock pot gets hot enough to bring the dip to a boil, you’ll be fine. Just put everything in the slow cooker, stir, turn on high and allow it to boil. I do not know how long it will take for it to come to a boil, and it will depend on the size of your slow cooker too. But the short answer is: yes, you can make this in a slow cooker. 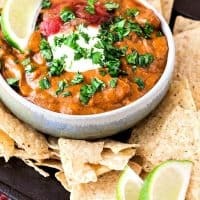 How can I thicken up my chili cheese dip? If you still think it is too thin once it has cooled down to warm, heat it back up–don’t let it boil this time–and add some more shredded cheese. Stir until melted. How can I thin out my dip? If your dip seems too thick once it has cooled to warm, you can stir in a bit more evaporated milk to thin it out some. Depending on how thick it is and how thin you want it, you may only need 2 Tablespoons of milk, or you might need half a cup or more. Just add it a little at a time and stir well. Check the texture, and stop adding milk when you’re happy with the thickness. What can I make it with if I don’t have RoTel? Use a generous cup of your favorite jarred salsa if you don’t have any RoTel in the house. It will work just fine, and you will have invented your own unique version of chili cheese dip. I like beans. Can I add beans? Absolutely you can. You can either use a can of chili with beans or you can add some canned black or pinto beans to the pot. Depending on how beany you want your dip, you could add half or a whole can of rinsed, drained beans to the pot along with the rest of the ingredients. What makes these ingredients so special? Well, the evaporated milk already has a lot of the water-part of milk boiled out of it, so it gives you a nice, creamy base. And the starch helps to keep the cheese from “breaking” and getting grainy. For more on the science of how this dynamic duo of ingredients works to keep cheese sauce smooth, check out this article from Serious Eats: For Smooth , Stable Cheese Sauces, Evaporated Milk and Cornstarch Are Your Friends. Now you know what two magical ingredients you need to keep your sauce smooth. And here are a few other items you might need to make your cheese sauce and dip making life a bit easier. What Other Appetizers Can I Make for a Watch Party? Now that we have all the FAQ and how-to information out of the way, let’s get right to it, shall we? I really hope you love this recipe, you guys! If you make it, please share a photo with me, either in the PCO Facebook Group or on instagram by tagging @onlinepastrychef and using hashtag #pcorecipe. Thanks, and enjoy! Put all the ingredients in a heavy-bottomed pot in the order given. Stir well and turn on heat to medium. Heat, stirring frequently at first and then constantly as it heats up, until mixture comes to a boil. Allow to boil for about a minute. The dip will be fairly thin but will thicken as it cools to serving temperature. Store leftovers in the refrigerator for up to 4 days. Reheat in microwave on medium power or over medium heat on the stove top. To make in a slow cooker, just put all the ingredients in the slow cooker and set it on high. Stir every 30 minutes or so. Allow to come to a boil. Serve warm. Thank you for spending some time with me today. 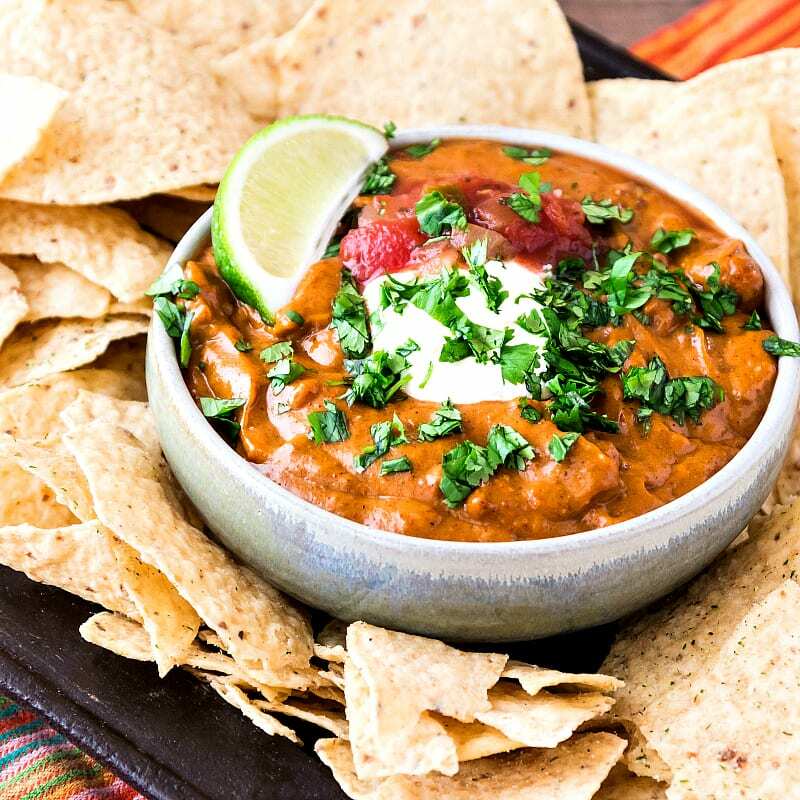 Enjoy the spicy chili cheese dip, and have a lovely day. This is tasty! Every variation has been delicious! One night, recently, I warmed up the queso and some corn tortillas and dinner was served. That looks sinful, in a very good way!! One pound of cheese! I’m so pinning this. Pinned! Can’t wait to try it!